Israeli politics: A lurch to the right? After five weeks of negotiation, Israeli Prime Minister Benjamin Netanyahu looks set to announce his third government. This follows an election in January 2013 in which the grouping he led lost 11 parliamentary seats. Mr Netanyahu had previously held held two contrasting periods in office - the first characterised by political instability and limited territorial withdrawals; the second by a remarkably enduring coalition and lack of progress in the peace process. Telegenic and media savvy, the Likud party leader was elected premier in March 2009 for the second time, after becoming, in 1996, the youngest person to hold the post. Right-wing and nationalistic, Mr Netanyahu's second coalition was dominated by like-minded and religious parties. Though it was relatively popular among Israelis, Mr Netanyahu's government was criticised by some in the international community for not renewing a partial freeze on Jewish settlement-building and avoid a collapse in peace talks with the Palestinians in late 2010. Mr Netanyahu has pursued a tough line towards peace negotiations, accepting the principle of a two-state solution but insisting the Palestinians accept Israel as a "Jewish state" and make reciprocal concessions. He has however urged a resumption of negotiations without preconditions, rejecting Palestinian demands for a complete halt to settlement activity first. He has also taken a hard line towards Iran, repeatedly warning of the danger to the international community of allowing it to develop nuclear weapons. Mr Netanyahu has called for much tougher sanctions against the Iranian regime and indicated his willingness to use force to stop Iran's nuclear programme if all else fails. Political differences with US President Barack Obama have led to a difficult working relationship between the two men. In November 2011 Mr Obama was overheard complaining to then French President Nicolas Sarkozy about having to "work with him [Netanyahu] every day", while in an apparent rebuke of the US last year Mr Netanyahu said some countries did not have a "moral right" to tell Israel what to do about Iran. 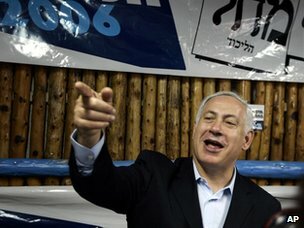 A shrewd political operator, Mr Netanyahu called early elections in January 2013, hoping to capitalise on high approval ratings in polls and his record for being tough on security issues. 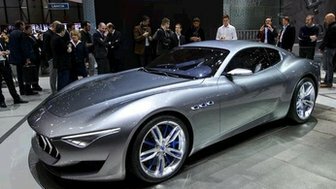 Weeks after parliament was dissolved Mr Netanyahu ordered a major offensive against militants in Gaza after an escalation of rocket-fire into Israel. He called off the operation without sending in ground troops, with all the risks that would entail, and the three-week operation was widely regarded in Israel as a success. Mr Netanyahu was born in Tel Aviv in 1949. In 1963 his family moved to the US when his father Benzion, the historian and Zionist activist, was offered an academic post there. 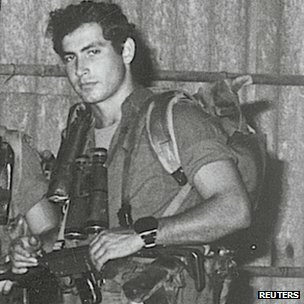 Mr Netanyahu then returned to Israel, where he spent five distinguished years in the army, serving as a captain in an elite commando unit, the Sayeret Matkal. He took part in a raid on Beirut's airport in 1968 and fought in the 1973 Middle East war. After his military service ended, Mr Netanyahu returned to the US, where he earned bachelor's and master's degrees at the Massachusetts Institute of Technology (MIT). In 1976, Mr Netanyahu's brother, Jonathan, was killed leading a raid to rescue hostages from a hijacked airliner in Entebbe, Uganda. 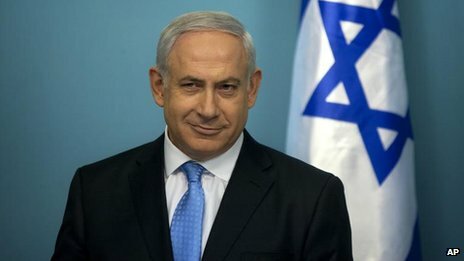 Mr Netanyahu set up an anti-terrorism institute in his brother's name and organised a series of memorial conferences which attracted much attention, including from the then Israeli ambassador to the US and future foreign minister, Moshe Arens, who made him deputy chief of mission in Washington in 1982. Overnight, Mr Netanyahu's public life was launched. An impeccable and eloquent English speaker, he became a familiar face on US television and an effective advocate of the Israeli cause. Mr Netanyahu was then appointed Israel's permanent representative at the UN in New York in 1984. Only in 1988, when he returned to Israel, did he become involved in domestic politics, winning a seat in the Knesset and becoming deputy foreign minister. Politically, he positioned himself to the right of previous leaders of the secular, centre-right Likud Party. After Likud lost the 1992 general election, Mr Netanyahu became party chairman. In 1996, he became Israel's first directly elected prime minister after narrowly beating the incumbent, Shimon Peres, who had called early polls following the assassination of Yitzhak Rabin. Mr Netanyahu was also Israel's youngest prime minister and the first to be born after the state was founded in 1948. 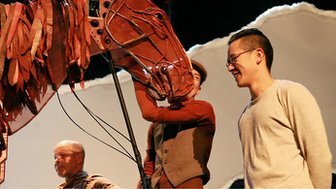 His first term was brief but dramatic, beset by divisions in his coalition. 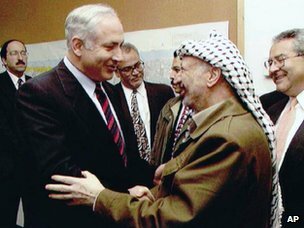 Despite having fiercely criticised the Oslo Accords between Israel and the Palestinians, in 1997 Mr Netanyahu signed a deal handing over 80% of Hebron to Palestinian Authority control and signed the Wye River Memorandum in 1998 outlining further withdrawals from the West Bank. This alienated his supporters on the right. At the same time, he did not bend sufficiently to keep the support of those in Israel who favoured a land-for-peace deal. His critics said a more seasoned politician could have avoided many of the difficulties in the first place. Mr Netanyahu survived rather than prospered, and lost office in 1999 after he called elections 17 months early. He lost the premiership to Ehud Barak, Mr Netanyahu's former commander, who promised to push for a permanent peace deal and withdraw from southern Lebanon. "Bibi didn't succeed in his first term. He wasn't a very good Prime Minister," his father - a strong ideological influence - told Maariv newspaper. "At the time, I was shocked to see how he defeated [Prime Minister] Shimon Peres who was a well-known personality, while Bibi was just a young man. I was sure he would be defeated. But I think he learned from his mistakes." Mr Netanyahu resigned as a Member of the Knesset and chairman of Likud following the election loss. He was succeeded as Likud leader by Ariel Sharon. After Mr Sharon was elected prime minister in 2001, Mr Netanyahu returned to government first as foreign minister and then as finance minister. In 2005, he resigned in protest at the Israeli withdrawal from the Gaza Strip. His chance came again in 2005, when Mr Sharon - just before a massive stroke that has left him in a coma - split from Likud and set up a new centrist party, Kadima. Mr Netanyahu won the Likud leadership and was a trenchant critic of the Kadima-led coalition and Mr Sharon's successor, Ehud Olmert. Mr Olmert became engulfed in corruption allegations and was eventually forced to step down. Early elections were called in 2009. Although Likud came second to Kadima in the polls, it was Mr Netanyahu who President Shimon Peres asked to form a new coalition government, ushering in an unusually long period of political calm. Israel says it has seized a ship carrying advanced Iranian weapons made in Syria that was heading towards the Gaza Strip. Can teaching parents to chat to their babies reduce inequality?